All branches have upcoming Hunger Games programs planned. If you've read The Hunger Games and can't wait for the movie, join us for a book discussion of the series. 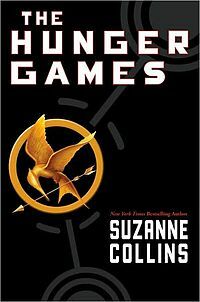 Our Hunger Games Book Discussion is for teen readers. Sunday, March 18 from 1:30 PM - 2:30 PM. Warmack Branch Library, 760 Bardin Rd. Hunger Games Survival Skills: Would you survive the Games? Main Library: Thursday, March 22 from 4 to 6 pm. Ages 11 & up. Bowles Branch: Thursday, March 22 from 4 to 5 pm. Ages 8 & up. Kids & teens find out if they could survive The Hunger Games, in these activity programs based on the books and upcoming movies.